Item14(b) - Part of Busselton as marked by H M Ommanney, 8 March 1844 (near Stanley Street). Scale: 4 chains to an inch. Item 13(e) - Part of Bunbury Townsite from plan belonging to Chairman of Town Trust, June 1857. 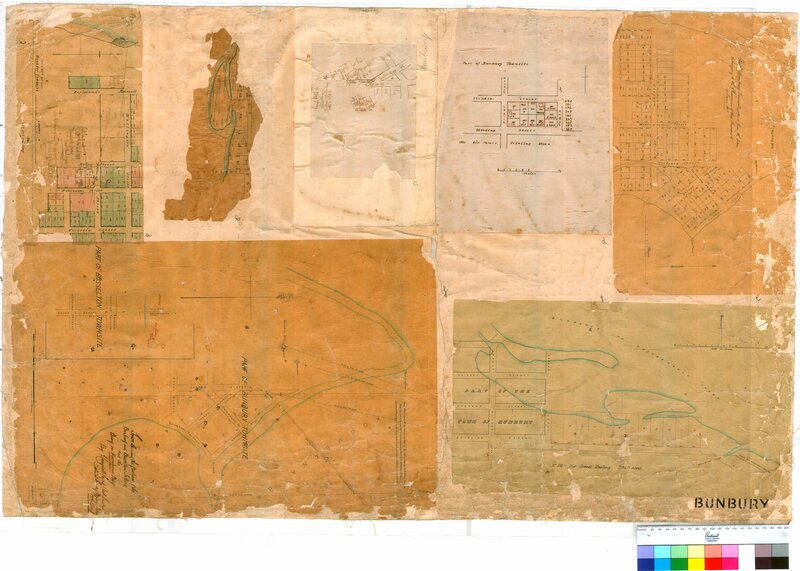 Confirm Item Request: Part of Bunbury Townsite from plan belonging to Chairman of Town Trust, June 1857.